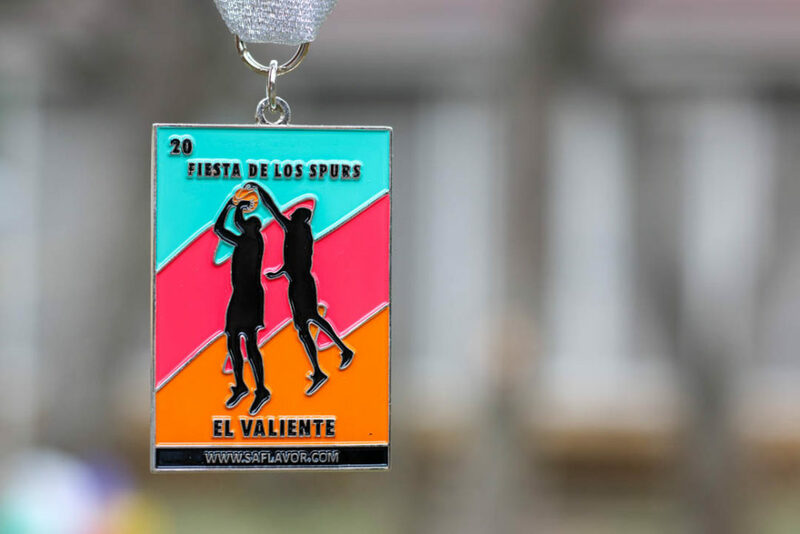 This is the third year of our inspired Spurs Fiesta Medal and it’s only fitting that we’re paying tribute to El Valiente, or the Brave, Manu Ginóbili. While last year’s playoffs may have ended in disappointment (darn you Zaza Zaza! ), it also provided us with the block-heard-round-the-world, when Manu just stuffed MVP candidate James Harden in one of the most savage blocks ever. 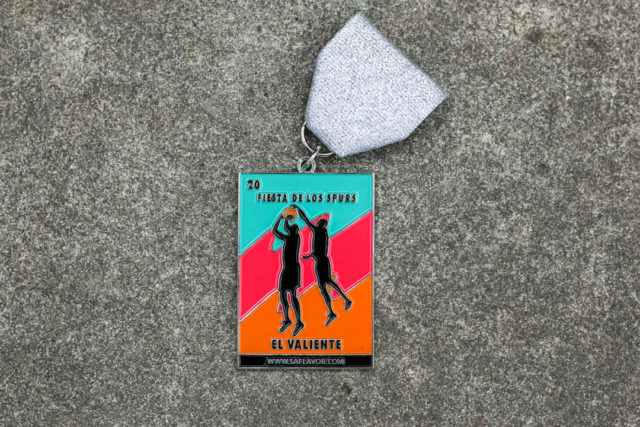 After seeing that play unfold, I *knew* that I had my 2018 fan made Spurs Fiesta Medal. Featuring the silhouette of Manu rejecting James Harden on a palette of classic Fiesta colors, this fan created Spurs fiesta medal is going to be one of the hottest of 2018. I remember hearing a post-game radio show after the final game of 2017 where the announcers were talking about how the adjective that comes to mind when describing Manu as “beloved.” That while he may not be everyone’s favorite Spur ever, he was the most beloved. While we tend to put the player’s number on the front, don’t worry you Maniacs, the year is quite visible on the back! ??????? ?Order El Valiente in the SA Flavor Store as part of the 7-pack now! Individual Sales begin 1/18/18 at our party!???????? I feel that the reason that he is so beloved is because of his effort on the court. Manu is never afraid to put his body on the line to help out our Spurs, taking charge-after-charge from some of the largest men who walk the Earth or slicing through the paint with grace that often results in him being on the receiving end of a harsh foul. Heck, the man even suffered one of the worst injuries that a guy could imagine and still is playing! That is why we honor Manu this year. El Valiente. The Brave. 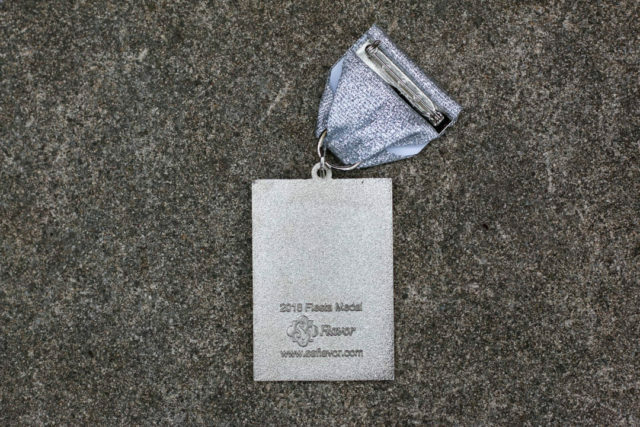 The charity that will receive $1 for each Fiesta Medal sold will be CASA (Child Advocates of San Antonio), an organization that has helped some of our littlest San Antonians who face neglect and abuse. CASA is one of the nonprofits that is currently filling a big need, by “recruiting, training and supervising court-appointed volunteer Advocates who provide constancy for abused and neglected children and youth while advocating for services and placement in safe and permanent homes.” They were the beneficiaries of last year’s El Corazon medal and a local charity that is doing the good work in our community. Though the Tim Duncan era may be over, there’s no denying that he was the heart of the Spurs. But more than that, he was the heart of our city. SA Flavor decided to pay tribute to #21 with El Corazon, the 2017 Spurs-inspired Lotería Fiesta Medal. 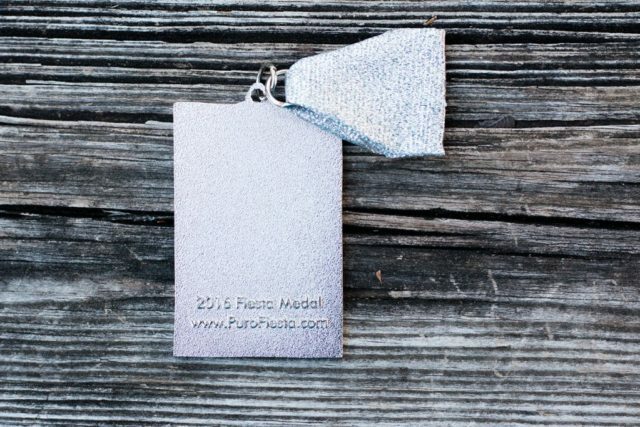 The medal shows a heart wrapped with a banner that says “Thanks T.D.” The color pallet of the medal is a callback to the old-school Fiesta colors that were around at the start of Duncan’s career. The number in the top left is the same one that was sent to the rafters of the AT&T Center. 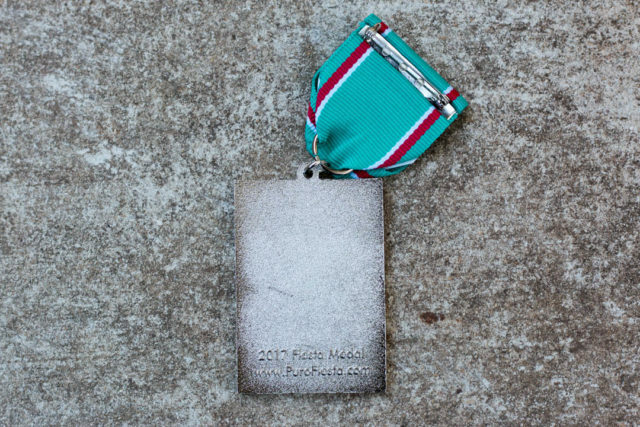 And all you medal hounds will be happy to know that the back of the medal states the year so you know that this is a 2017 Fiesta Medal. ??????? ?Order El Corazon in the SA Flavor Store now! Free shipping on orders over $20!???????? The charity that will receive $1 for each Fiesta Medal sold will be CASA (Child Advocates of San Antonio). With the Texas Legislature having a focus on Child Protective Services this session, my heart has gone out to some of our littlest San Antonians who face neglect and abuse. I haven’t known a San Antonio without Timmy suiting up in silver and black, so it has been quite an adjustment. You could count on two things from the Big Fundamental: that he would give it his all and that he would do it with class. So, while Duncan may be retired (though I hope that he somehow winds up on the playoff roster), he is still El Corazon of the Spurs. 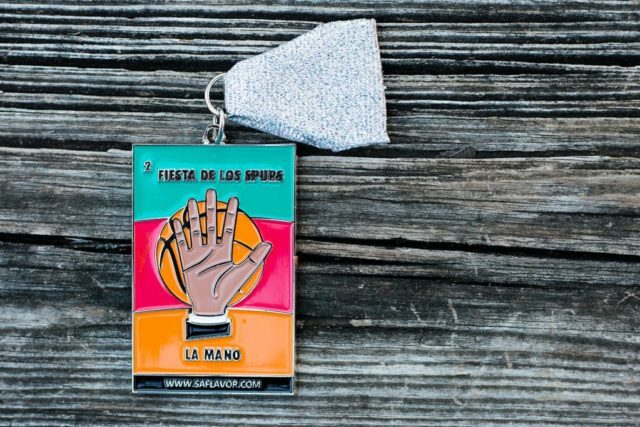 Our first fan created Spurs Fiesta Medal paid tribute to Kawhi Leonard—the man with the huge hands. Originally a design for a T-shirt, we converted it into a Fiesta medal back in 2016. 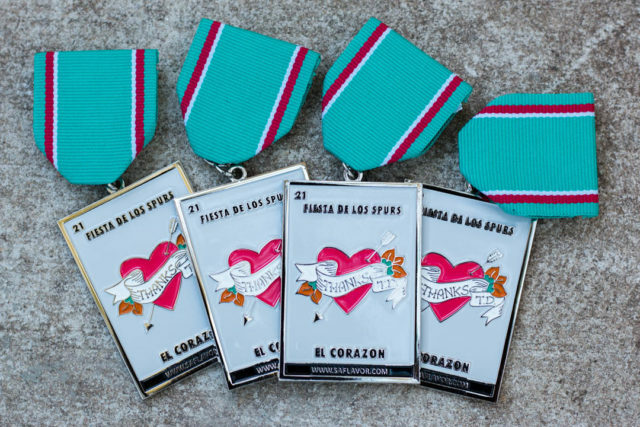 This was our first Lotería inspired medal that used the actual name of the card, a pattern we have done ever since with our Spurs Fiesta Medals. Known for his huge hands, we knew that Kawhi had to be the guy for our La Mano inspired Lotería design. We played on the traditional card by keeping the formal tux sleeve visible just at the wrist, but then added the basketball behind the palm. The classic Spurs Fiesta colors were featured as arcs behind the hand to give it a little Fiesta flare. ??????? 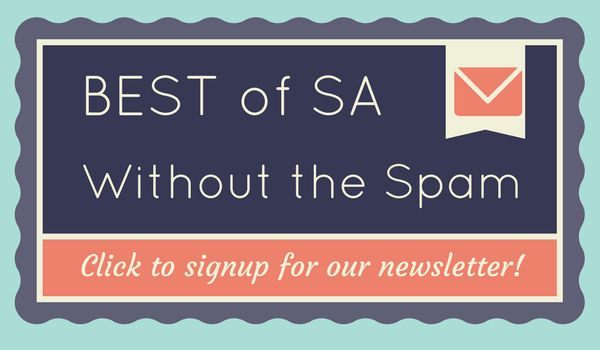 ?Order La Mano in the SA Flavor Store now! Free shipping on orders over $20!???????? While we chose to put the number of the Spur being honored on the front, I know that it’s *incredibly* important to have the date on the medal. So, as an attempt to not crowd the design, we put the year of the medal on the back.